Communities supported include Chittaway Point, Kariong, Mt Penang, Ourimbah, The Entrance, Toukley, Tuggerah, Umina, Umina Beach, Watanobbi, and Wyong. 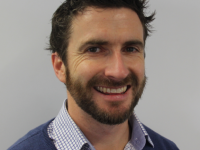 Fergus started as the Jawun Regional Director for the NSW Central Coast region in 2018. Prior to this Central Coast appointment, Fergus was Jawun Regional Director for the Inner Sydney region. Fergus’ connection with Jawun started back in 2014 as a Jawun secondee to the West Kimberley region, supporting the Kimberley Land Council to commence the design of a leadership development program. Fergus comes to Jawun from a career in project management across construction, engineering and business transformation projects for both government and the private sector. Fergus brings a mix of organisational and business management skills to supplement experience in stakeholder engagement, facilitation and people development to the Regional Director role. Growing up in regional Australia on Yorta Yorta land, Fergus is excited to be working back in a regional area on Darkinjung country and is motivated to help the local organisations and leadership achieve the best possible outcomes for their community. Fergus has a passion for people development and the mentoring and coaching of others to help them be successful and achieve their best. This has included involvement in an engineering Indigenous internship program and tutoring for Indigenous high school students.